Second Life dev Linden Lab and the IndieCade Festival in LA this weekend will promoted all finalists to the Desura partner program. Both nominees and winners of this weekend's IndieCade Festival will be offered a distribution agreement through Desura, Second Life developer Linden Lab posted today in a press release. The agreement is only available to Linux, Mac, and PC games, meaning 21 of the 36 nominees are eligible, but it omits all fees and also includes promotional advertising from Linden Lab as a part of Desura's new partner program. Linden Lab acquired the digital distribution service in July. 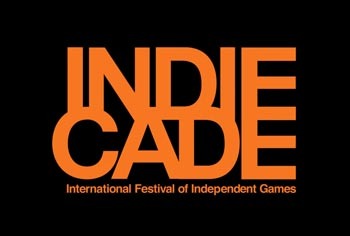 IndieCade is the International Festival of Independent Games, taking place this weekend Oct. 5-6 in Los Angeles. Anyone interested in playing the nominees can do so for free on Saturday from 10 am to 7 pm and Sunday from 10 am to 5 pm in the Firehouse. A list of nominees is available on the IndieCade website. "We're a proud supporter of IndieCade and its mission," Linden Lab CEO Rod Humble said in a statement. "Celebrating and supporting independent developers is a goal Desura shares with IndieCade, and we're happy to be able to award distribution and promotion to all nominated and official selection games at this year's event." For a festival devoted to independent games, this is a nice way for Linden Lab to show appreciation for independent developers. A total of 36 games were nominated as finalists for IndieCade, some of which have already received positive media attention, such as Gone Home and That Dragon, Cancer.